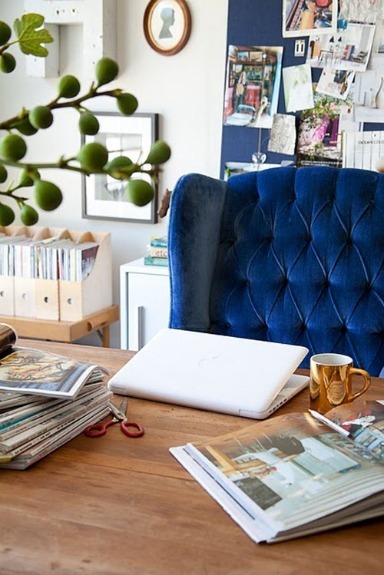 I love this grand wingback chair upholstered in a rich blue velvet. Why would you want a boring office chair when you could pull up a comfortable chair to your desk? From an artistic perspective I also enjoy the pop of green in the foreground and the gold mug against the blue of the velvet.